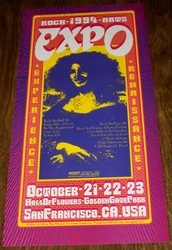 Wes Wilson created the San Francisco Poster Expos from his small office in Aurora, Missouri in 1992. 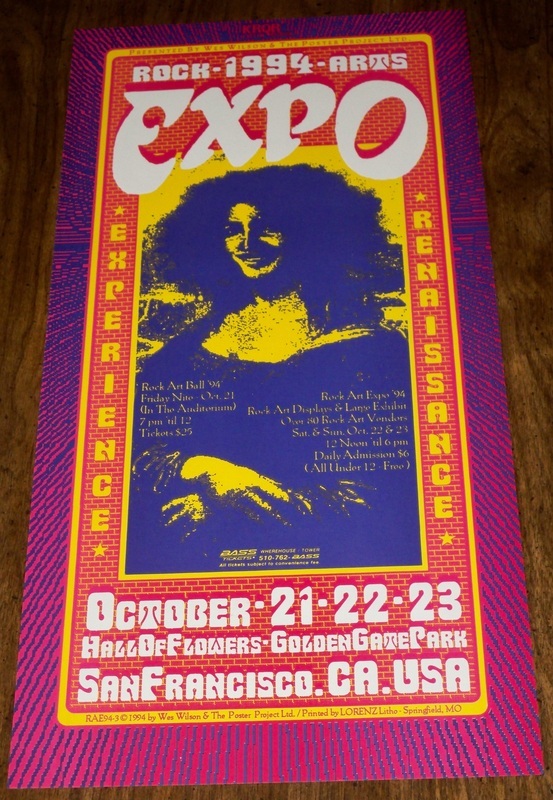 In a world before cell phones and instant Internet access, these Expos were a way to bring the poster art community together again. This event grew exponentially while under Wes' tutelage from 1992 to 1994 and has since been adopted and re-christened the Festival of Rock Posters by the dedicated folks at The Rock Poster Society. Below are Wes Wilson's posters for the events.